This is in direct contrast to my previous entry, because you know, contrast is good. It's all about choices. Life. Whatever. For decades, what with my collecting of comic books, reading of sci-fi (speculative fiction if you're nasty), enjoyment of hard science, weird history, conspiracies and especially British culture and television, I've had people make comments to me like, "So, of course, you've seen Doctor Who." And I hadn't. Not ever. 37 years got right past me without me ever seeing the Doctor on television. I was aware of the guy in the scarf (who I now know is Tom Baker, the 4th Doctor) from the 80s, as he'd been in a Marvel comic, but that was about it, other than having other people (who all seemed mildly obsessed) say things to me about David Tennant, Rose, Amy Pond, TARDISes and sonic screwdrivers. Every now and again, a fez, banana, or pair of 3-D glasses would suddenly seem important to them, and then they'd simply move on and so would I. I didn't think that I would ever really watch the show and get in on the joke(s) - I figured, from what I'd heard, the show had been on since like, the late 60s, and I'm a continuity freak: how the hell does one jump on 40-plus years in? In late Spring of this year, however, a rare conflagration of people; a wonderful, relatively new friend with a new baby and lots of BBC DVDs, an ex-girlfriend (because not everyone from my past hates me), and a friend and former co-worker - came together (not literally, of course, or in any carnal sense) to recommend to me (pretty much all at the same time, though) that I simply start with the continuation of the series as it returned in 2005 after being off the air since 1989 or 1996, depending upon how you count. So I listened, as I think you must when different kinds of good people are all telling you the same thing, and I developed an obsession. Now it is the end of the Summer, and I have watched all available since 2005 80+ episodes of the Doctor, through the 9th, 10th, and 11th, some of them twice and three times, and I look up stuff online and read it, and I have withdrawal waiting for the new season to begin late next month. I had DVDs, Netflix and on demand to get me through, now I will have to depend upon normal broadcasts. 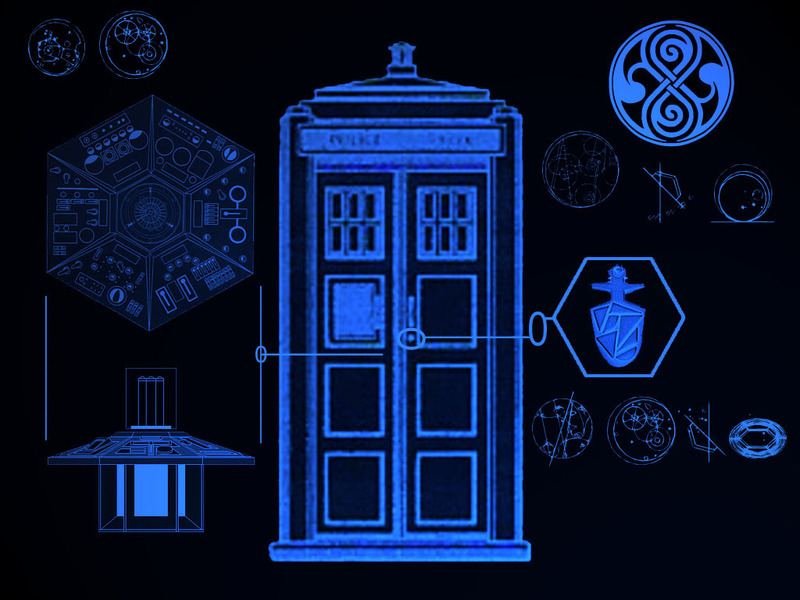 I am thinking of building a full-scale TARDIS in my backyard, and have spent hours looking at plans. I whistle the theme song whilst I work on stuff. I care what happens to Craig. I figured out about River Song like six episodes before the truth broke. I get misty at the Christmas specials. 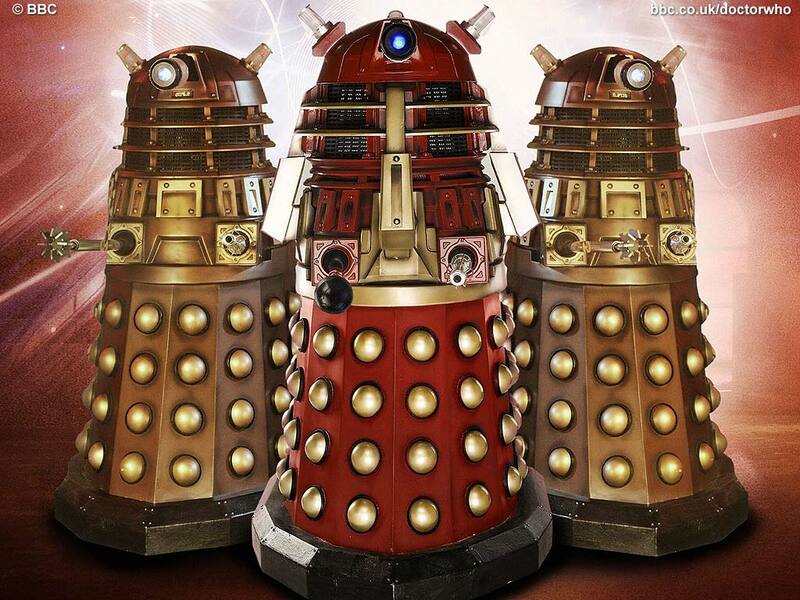 I have a love/hate relationship with the Daleks. I have found lots of other people who I didn't know were fans, and talking to them about the show makes me all excited. The other day while getting his school supplies, Max and I worked out how a Green Lantern/The Doctor crossover might work out. I am currently reading this, a Doctor Who novel adapted by one of the current screenwriters from an original script by Douglas Adams, which is just so perfect it hurts a little bit. I am become Whovian. I am obsessed, and it is a good thing. It makes me happy to watch the Doctor, and I have taken my wife along for the ride. My son is now asking to watch them. Thanks to everyone who recommended and insisted, and especially Kate, for letting me hang on to her DVDs all Summer.